An unusual and challenging mix of typical urban orienteering and a small wooded former mining area with interesting contour detail. Well worth a visit. The finish control on the three shorter courses showed a time less than the time shown on the last control. Each competitors finishing time was adjusted. The difference in time between their final control and the finish control was added onto their final control time to get their finish time. Brigshaw School, Brigshaw Lane. Between Allerton Bywater and Kippax. You may enter any course although to be competitive in the YHOA urban league you need to enter the courses shown above. 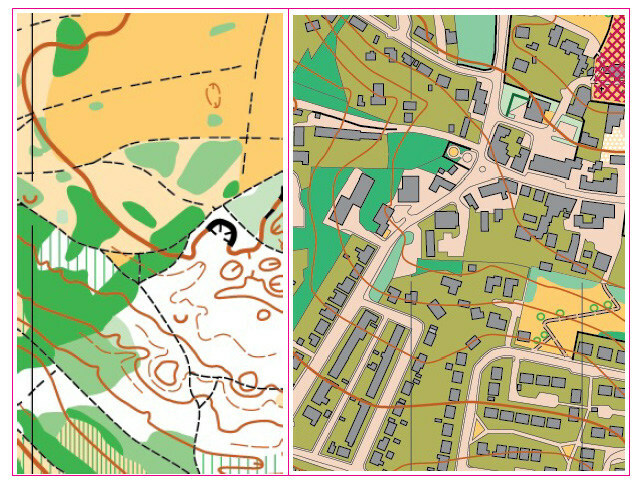 Juniors aged 15 and under on the day will only be allowed by British Orienteering on Courses E and F for safety reasons. Newcomers can run in pairs and parents can run with children. Urban event, but the longer courses also include a complex wooded former mining area. Leg protection, a compass and terrain O skills all definitely needed. No dogs please. Assembly is in school grounds.